There has been so much speculation about what the Bible predicts about the future from Christian preachers that has mostly proven to be incorrect. This has led to several prominent atheists who now cite these speculations as proof that the Bible is not inerrant. Not only has much of this speculation caused damage to the credibility of the Bible, it has also beguiled Christians into withdrawing from society and becoming cultural onlookers rather than participants. This retreat of Christians from culture and the broader community has then become self-fulfilling prophecy about the deterioration of society’s moral values. 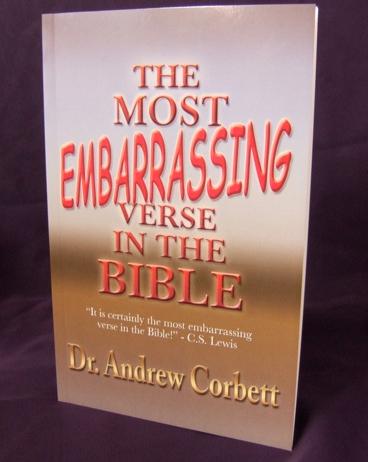 Dr Corbett shows how to best interpret the prophetic passages of Matthew 24 and then shows how we can use this knowledge to engage with our world and best present Christ and His message to an increasingly skeptical world! This book could change the way you understand the Bible, the identity of Jesus Christ, and what the future might hold. This ground-breaking book makes a valuable contribution to the Theological field of Eschatology but it is also an apologetic gem. It is grounded in employing the sound hermeneutical principles and thus becomes a case study for how we use these principles to interpret the Bible. 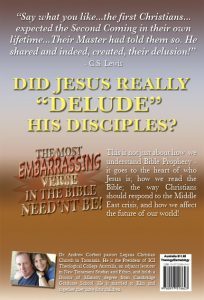 Did Jesus really delude His Disciples? This is not only the assertion of prominent Atheists such as Prof. Bertrand Russell and Prof. Bart Ehrman, but staggeringly also great Christian minds such as CS Lewis! 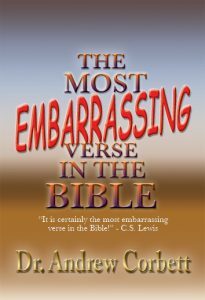 In fact, this book is a response to a famous claim by CS Lewis that he found this particular verse in the Gospels as “the most embarrassing verse in the Bible”.